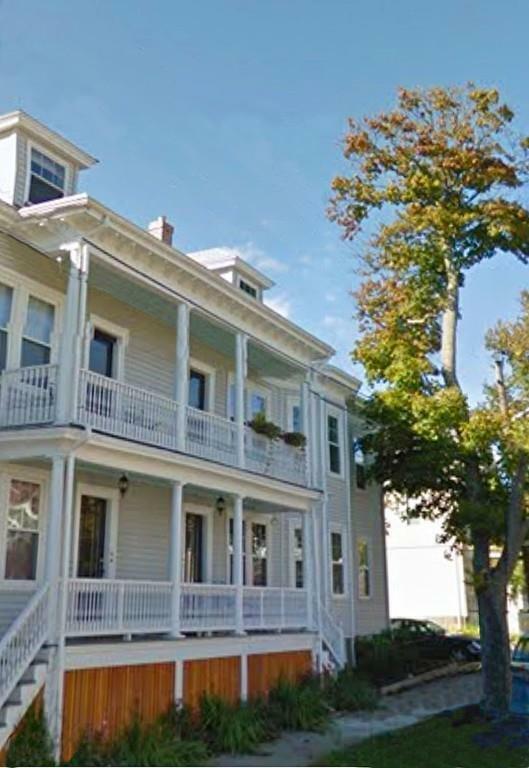 Spacious and gorgeous condo in wonderful neighborhood across street from Salem harbor. Feel the cool breezes and peeks of the water. High ceilings, period moldings, gleaming wood floors. Granite and stainless kitchen with large breakfast bar open to dining room and living room. Two bedrooms and full bath on that same level. Third level offers huge family room with builtins. Master bedroom suite with luxurious private bath and excellent closets. 2 car tandem parking. Two decks (front and back) Pet friendly. Max 2 domestic pets per unit. Storage area in basement.